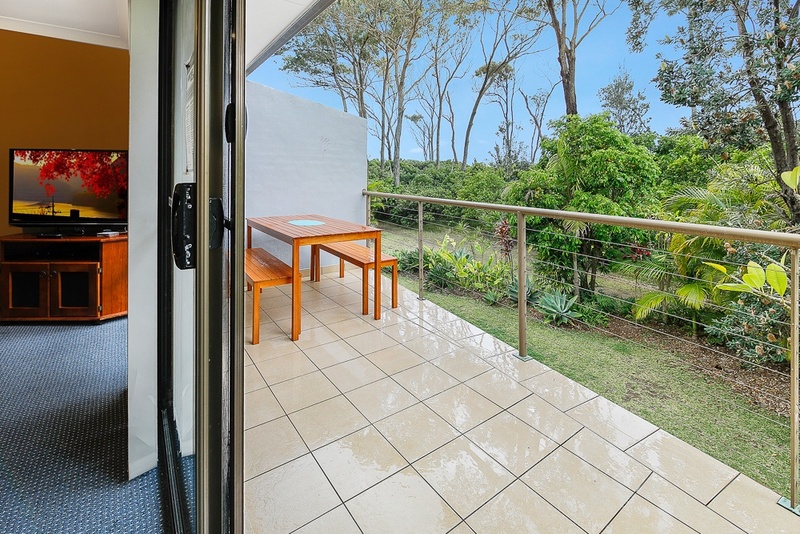 Our 3-bedroom apartment is ideal for big families and groups of friends visiting Coffs Harbour. 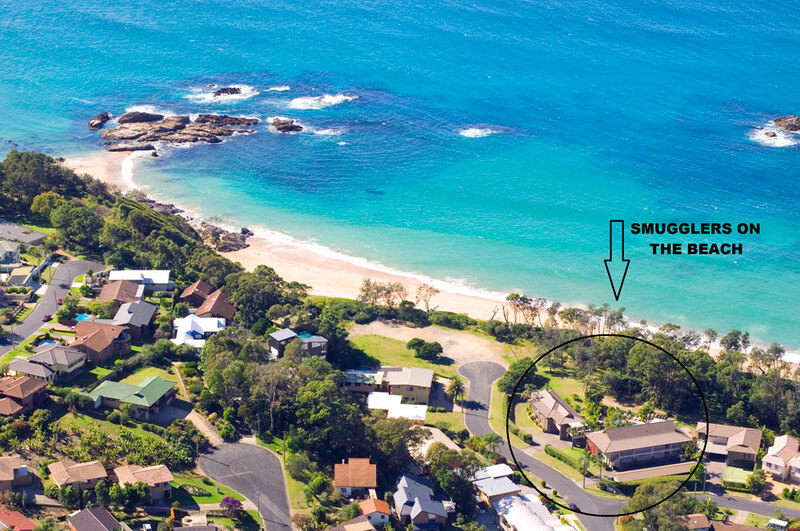 It is large, spacious and modern with filtered ocean glimpses through the trees. 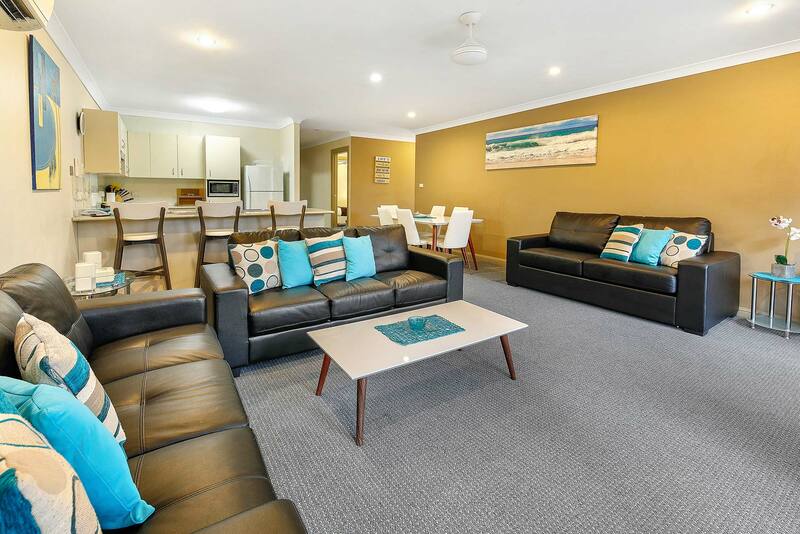 The apartment is well-appointed and fully self-contained, with heating/ air-conditioning, fully equipped kitchen, all cooking utensils and linen supplied. 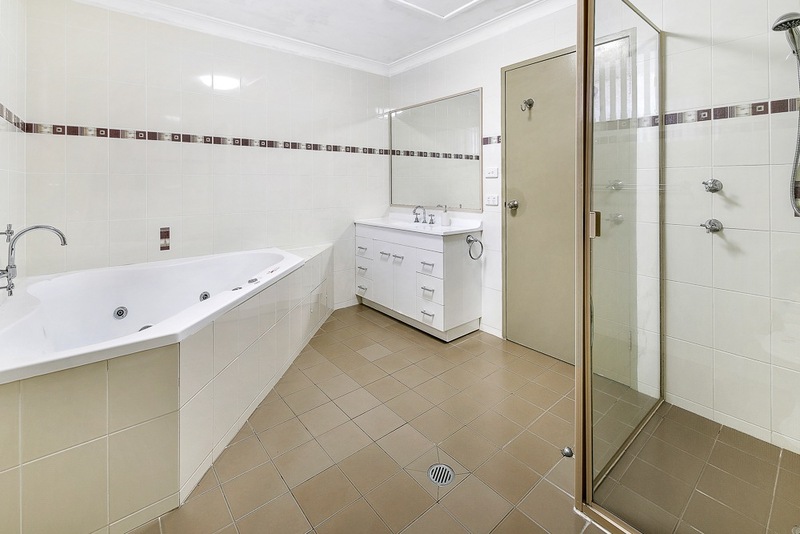 There are 2 bathrooms, including an ensuite off the master bedroom. 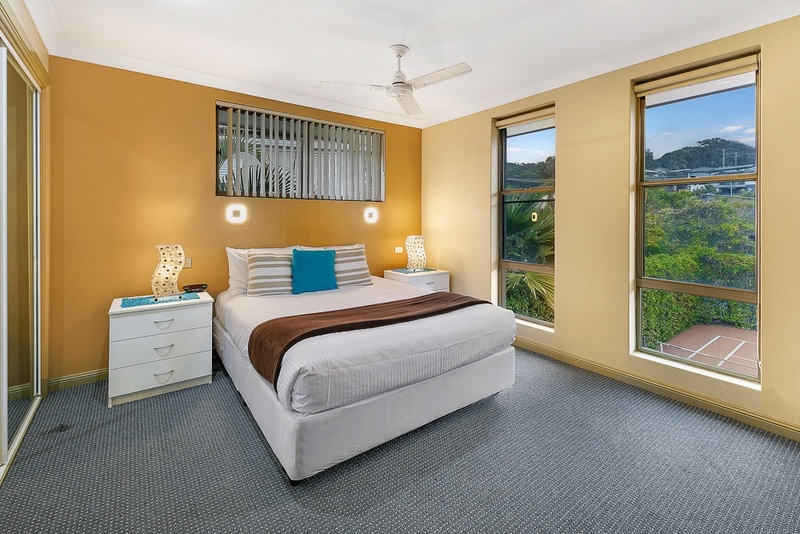 Additionally the apartment has a large corner spa bath, dishwasher, and private balcony overlooking the floodlit gardens with filtered ocean glimpses, to add a touch of luxury to your stay in Coffs Harbour. This apartment is accessed by one flight of stairs and has undercover parking.